South Bend, Indiana 1923. H. P. Axelberg, the son of a Norwegian immigrant, saw opportunity with the growth of Studebaker Organization and the University of Notre Dame. 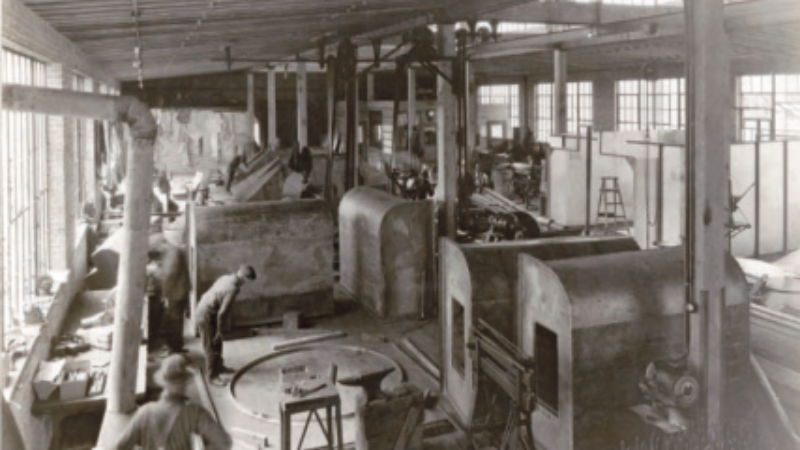 With the goal of serving the industrial sheet metal needs of the thriving community he opened General Sheet Metal Works on South Main Street, designing and building paint booths, dust collectors, and air handling systems for the Studebaker automotive plants. Soon, GSMW was building ventilation systems and metal roofing for the University of Notre Dame. Responsiveness to customer needs for metal fabrications led to the company replacing the gold leaf on the University’s iconic Golden Dome. Today, as General Stamping & Metalworks, our brand new 190,000 square foot factory and leading edge fabrication equipment are just the next step in our evolution, one based on 95 years of experience and a reputation for delivering on time, at the right price, exactly what our customers want. 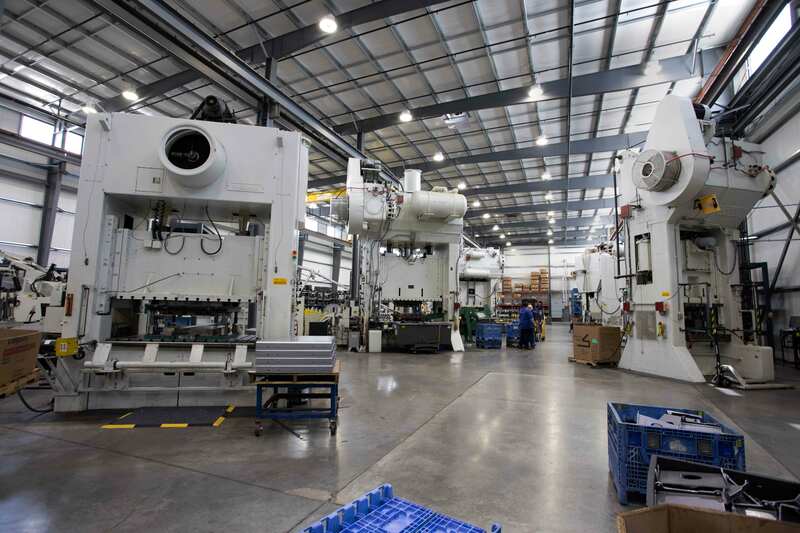 Today, as General Stamping & Metalworks, we have evolved to become one of North America’s leading providers of stampings and fabricated metal parts to progressive OEM’s worldwide. GSM is considered a strategic partner and trusted provider by leading manufacturers in a wide range of industries. GSM can support your company every stage of the product life cycle, from prototyping through production, to service parts that keep their reputation for quality and reliability intact. If your project requires professional engineering support, unparalleled responsiveness, flexibility and a fully integrated supply chain, talk with us. Our mission is to protect your brand through collaborative engineering and supply chain security, while enabling you to scale your operations.